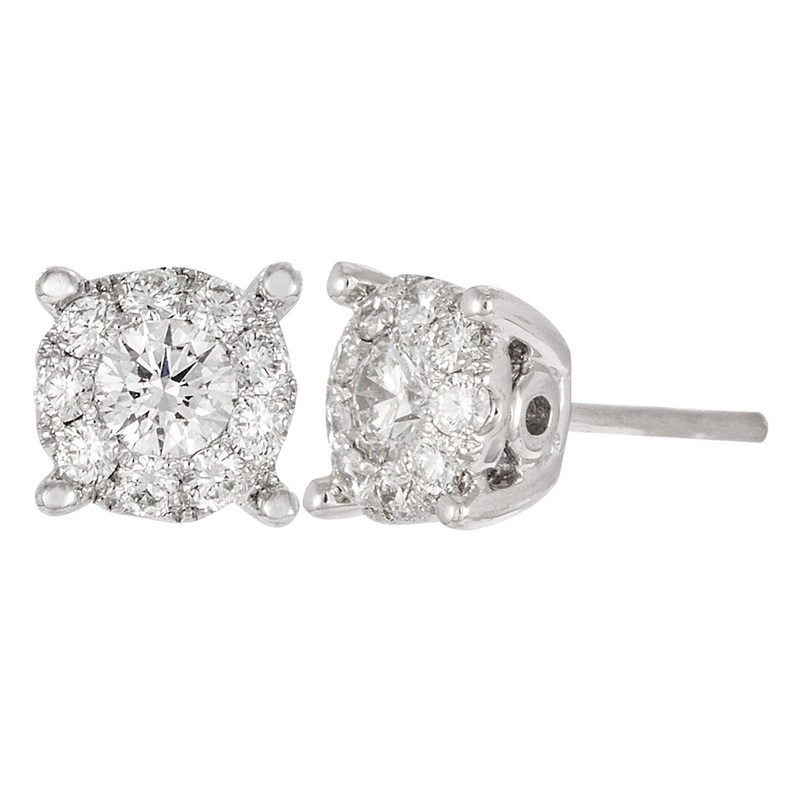 .15 ctw diamond halo stud earrings set in 14 karat gold. Available up to .67ctw. I am requesting information for White Gold Diamond Stud Earrings.